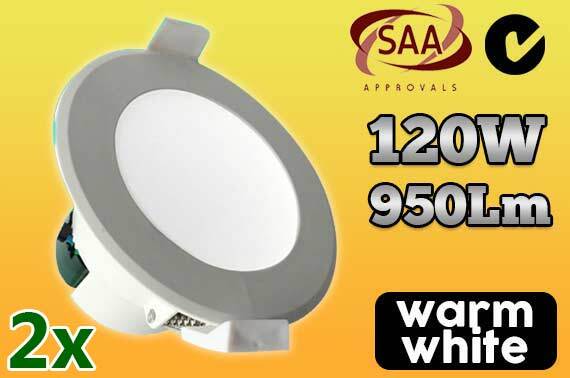 Healthy, Eco-friendly, Higher energy-efficiency, Low-heat, Reduced carbon-emission, No UV or IR radiant. Important: All electrical installations including LED Transformer installations must be carried out by a Qualified Electrician to ensure safety and correct installation methods. Super Bright SMD LEDs ensure its high quality, a maximum 950lm brightness and 50,000 hrs long life. SAA and RCM certified safe for installation. In-built AL heat sink + outer PBT housing makes it solid and durable. SMD LED technology ensures a 90° beam angle, uniform light and no flare. Frosted PC lens makes the light softer. DIY plugs makes it easier and safe to install and can save money on installation. 100% Recycle No Pollution, No UV, And No IR. Application: Household, restaurant, hotel, office and show room lighting and many others.